It’s an admitted fact that police shot and killed 24-year-old Albert Payton in front of his D.C. apartment. However, according to the national statistics system setup to track police killings, Payton’s death never happened. Washington D.C. — An independent investigation conducted by the Wall Street Journal found that hundreds of police killings were missing from the national tally. Albert Payton’s death as well as over 550 other police killings from 2007-2012 never happened, according to the national count. Also in dozens of other cases where the killing was reported, it was attributed to the wrong agency. In an effort to get a more accurate number, the Journal requested internal records of police killings from the country’s largest 110 police departments, of which 105 responded. The difference in the number of killings from the local reports versus what the FBI had on record was staggering. The internal count from those 105 departments showed that between 2007-2012, at least 1,800 people were killed by police. 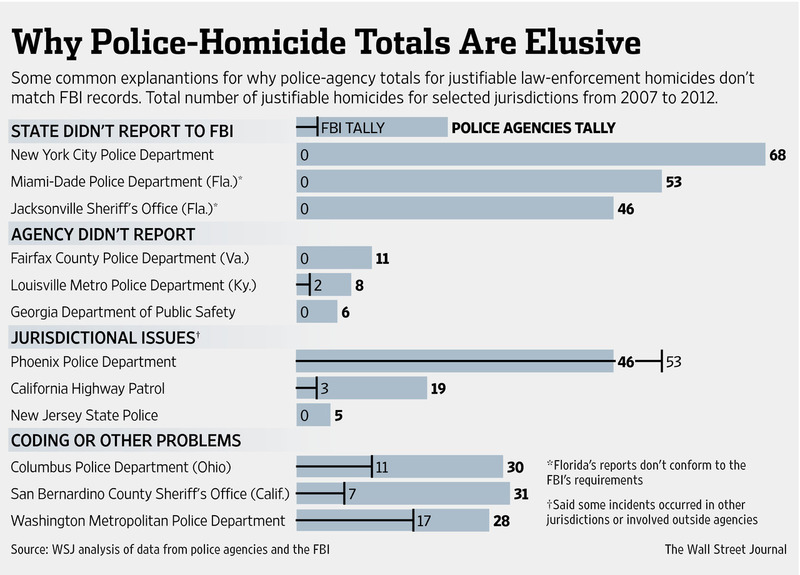 In contrast, the FBI’s tally showed 1,242 justifiable killings. That is a wide gap. The Journal reports that in the period analyzed, 753 police entities reported about 2,400 killings by police while the large majority of the nation’s 18,000 law-enforcement agencies reported nothing. 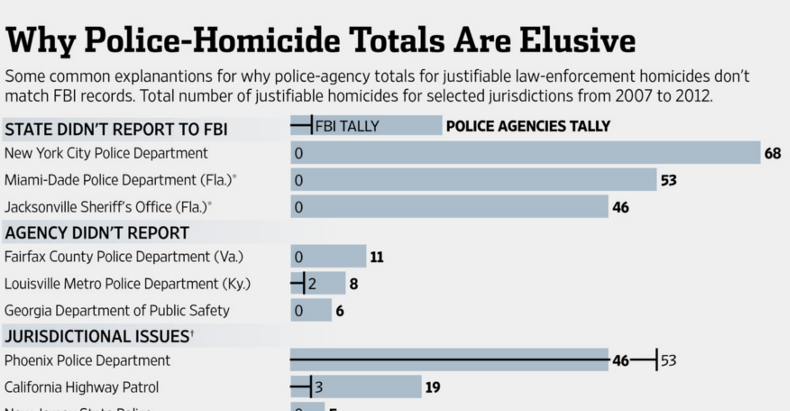 According to the Journal’s analysis, 35 of the 105 largest agencies didn’t have a single justifiable homicide listed with the FBI. Some agencies said they didn’t view justifiable homicides by law-enforcement officers as events that should be reported. When did killing a person for any reason become a trivial matter not worth reporting? Whether this is a deliberate attempt to cover up the amount of police killings or gross negligence in reporting, the results are the same; the US citizen has no idea how deadly police officers actually are, and this is dangerous. If the recent violence from the now infamous APD tells us anything, it’s that seeing a spike in the number of police killings within a department is a red flag that indicates rampant problems. The fact that it is taking this much public outcry to even make this an issue is quite discouraging. Granted, police have no constitutional duty to protect an individual from harm, but this doesn’t mean they can indiscriminately kill without consequence or at the very least, accountability. It is high time the people of the United States demand to know when those who ostensibly claim to protect life actually end it. Share this article to let others know how defunct this perception of accountability actually is.